﻿﻿﻿﻿﻿﻿﻿﻿﻿As a division of Brundage-Bone Concrete Pumping, our parts department is recognized as a leader in the supply of replacement parts and accessories for the concrete pumping﻿ industry. BB Concrete Pump Parts is capable of getting the right parts to our customers in a quick turn around time. For over 25 years, we continue to work tirelessly to source out the best products at the best prices to help our customers minimize maintenance costs. Whether new OEM, aftermarket or our own line of “BBC﻿” parts, we strive to provide you the best value, not just the cheapest part. We are also continuing to develop new and innovative products such as the “Mudsnake﻿” lay flat hose and our REMAN﻿ hydraulic pump rebuild program. In addition, we work with a network of logistics specialists that will help get you the products you need, when you need it at the lowest possible freight cost. 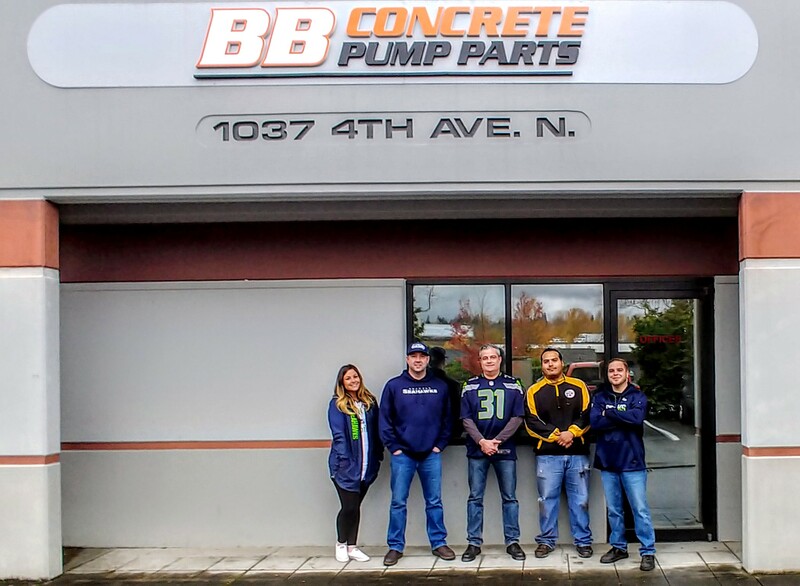 The BB Concrete Pump Parts team and distribution center.